Haters Anthem by Chiemeri feat. Cuban Diva is out NOW. Cuba and Nigera= an Afro/Latino Collab. Let your haters be your motivators. Success is the best revenge. This latest release is what happens when a Nigerian and a Cuban join forces to create a unique sound. The track is produced by Beats by Big H (Giant of Africa) who is well known in the Afrobeat community. The sound he created on this track is a mixtrure of Afrobeat, Reggatone and dance, Creating a Afrobeat/Reggatone pop sound. 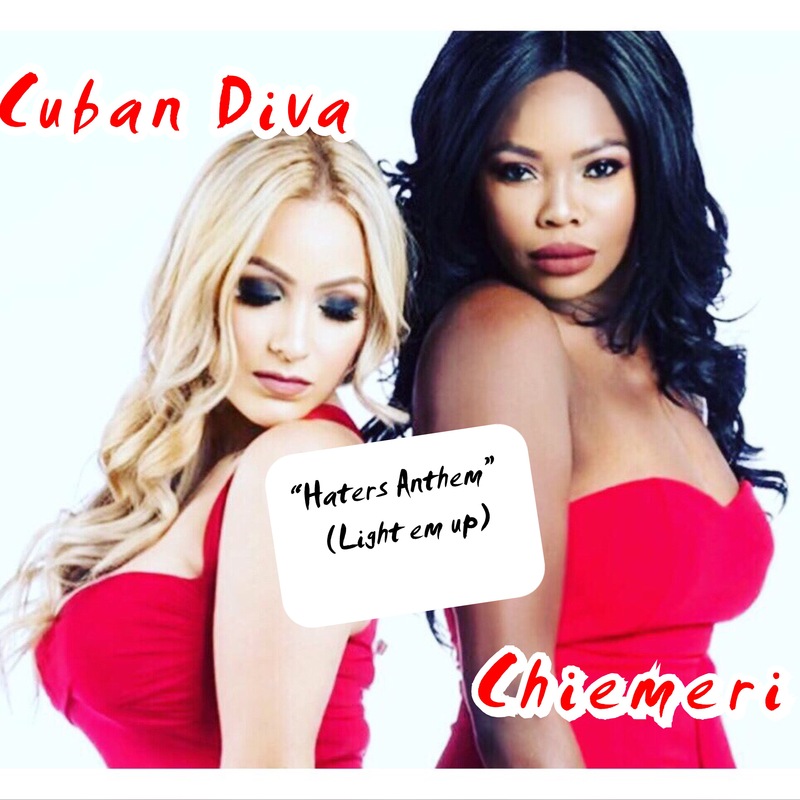 Throw in lyrics by Chiemeri and Millicent Osemele, you can here Nigerian pidgin english as well as spanish being sung on this catchy uplifting tune. A dance track with a positive message you can really move to. This song reminds everyone to let their haters be their motivators. If people say you can't do something, that's your chance to prove to them you can. In the end, success is always the best revenge.